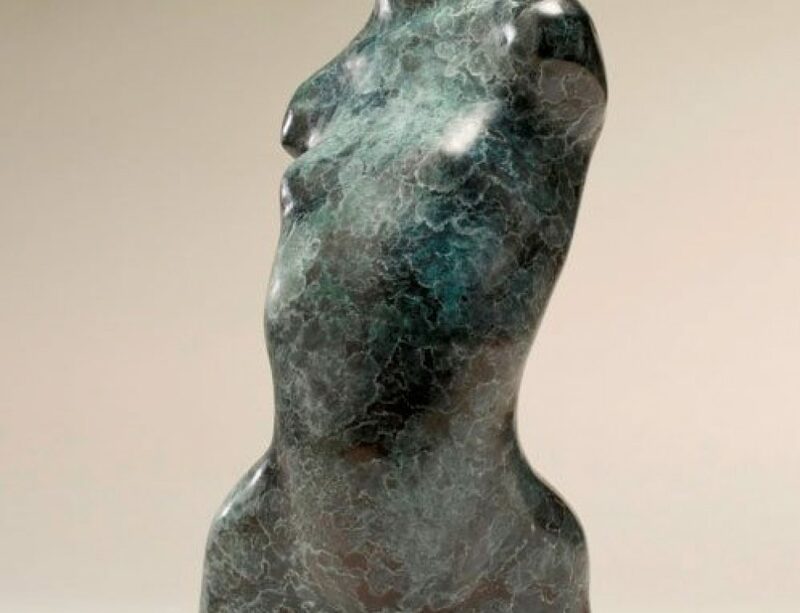 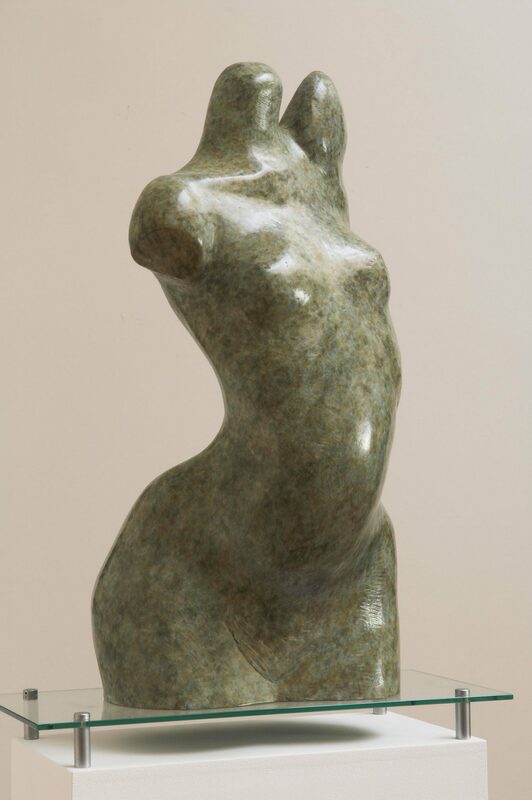 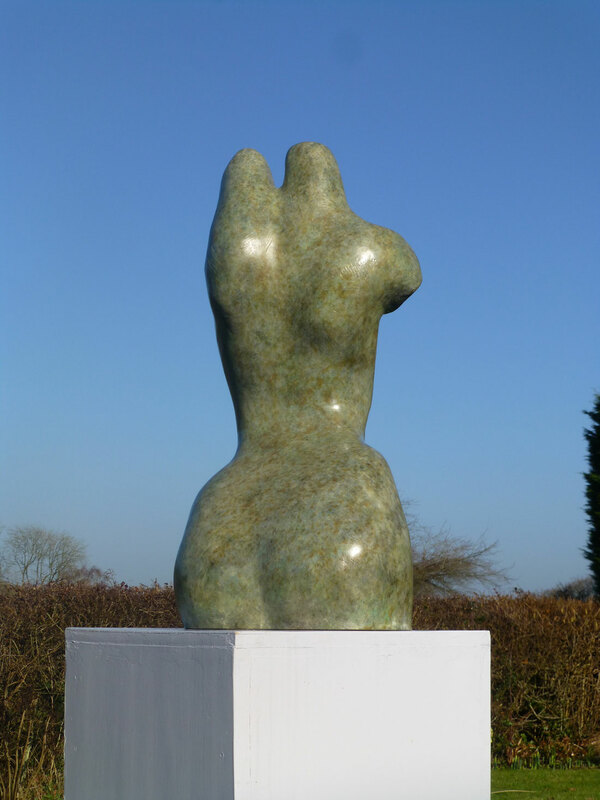 This piece of sculpture is the most realistic of the three large bronze torsos in ‘Metamorphosis’, part of the ‘Eve’ series. 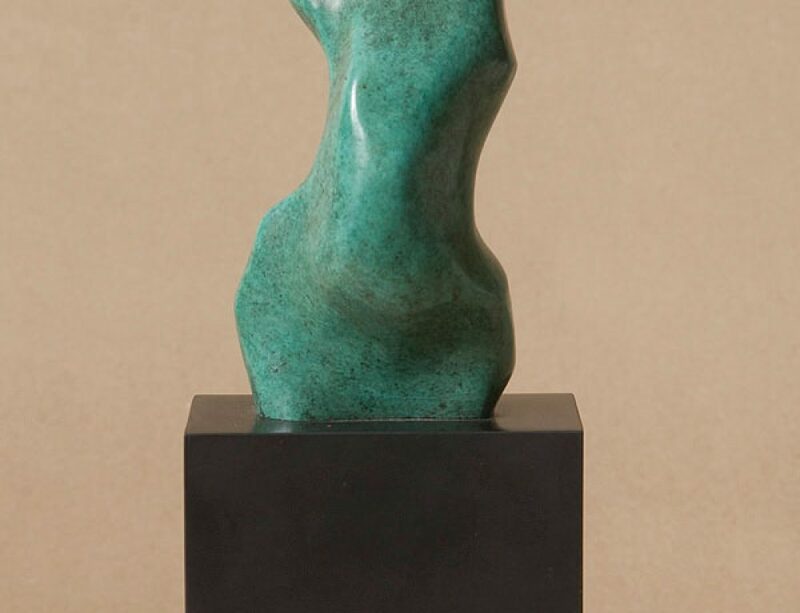 This artwork is life sized and is 68 cm tall. 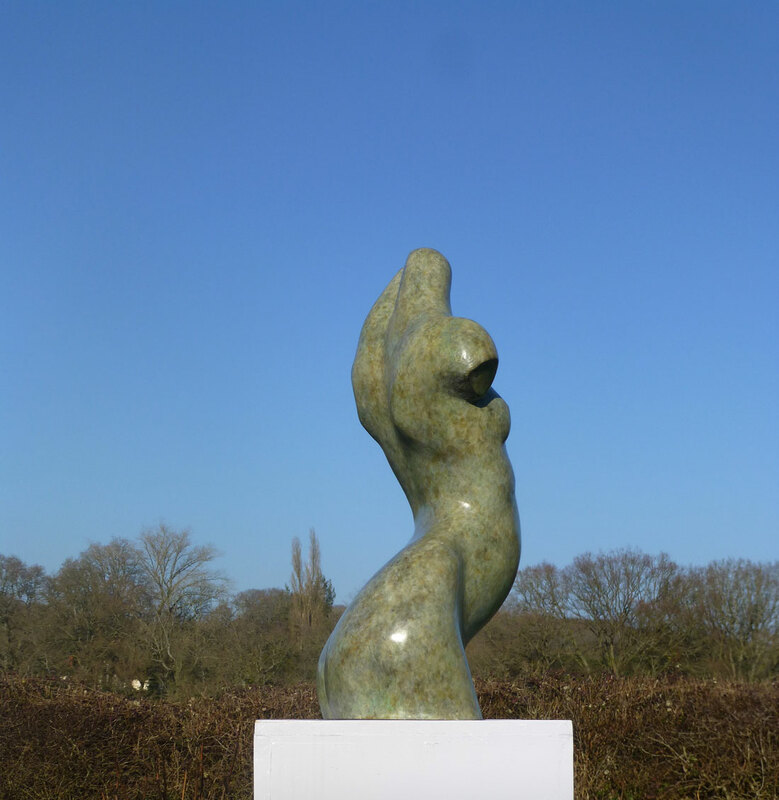 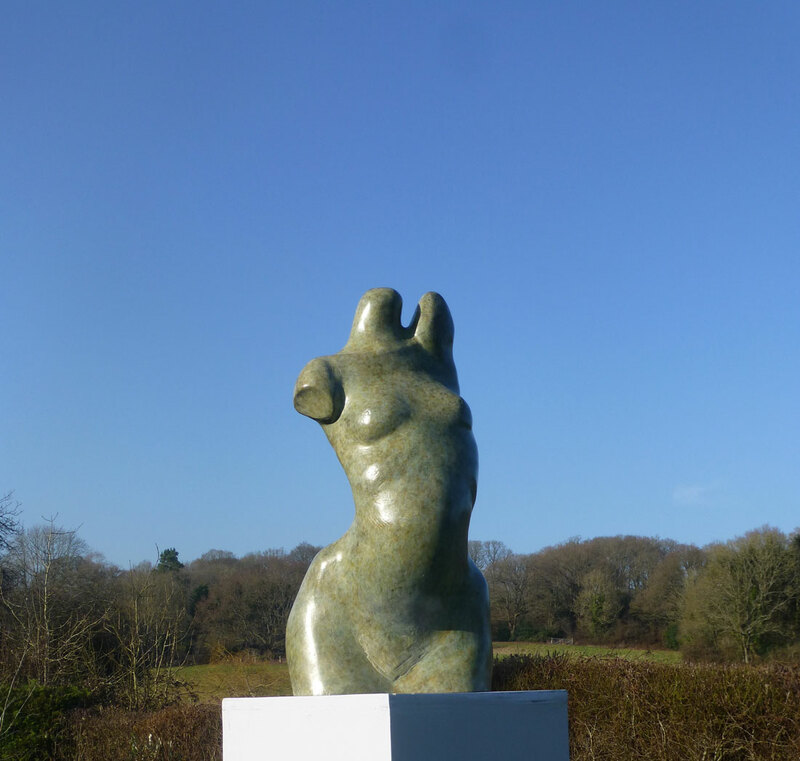 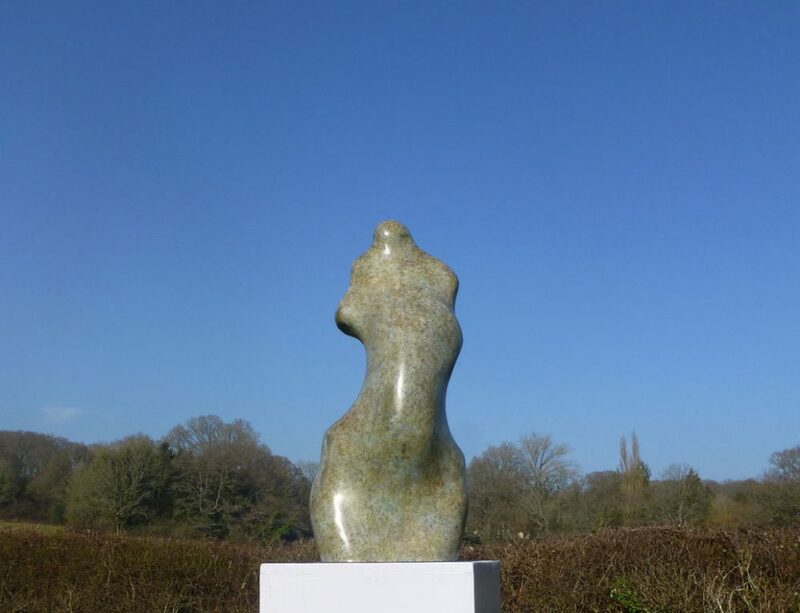 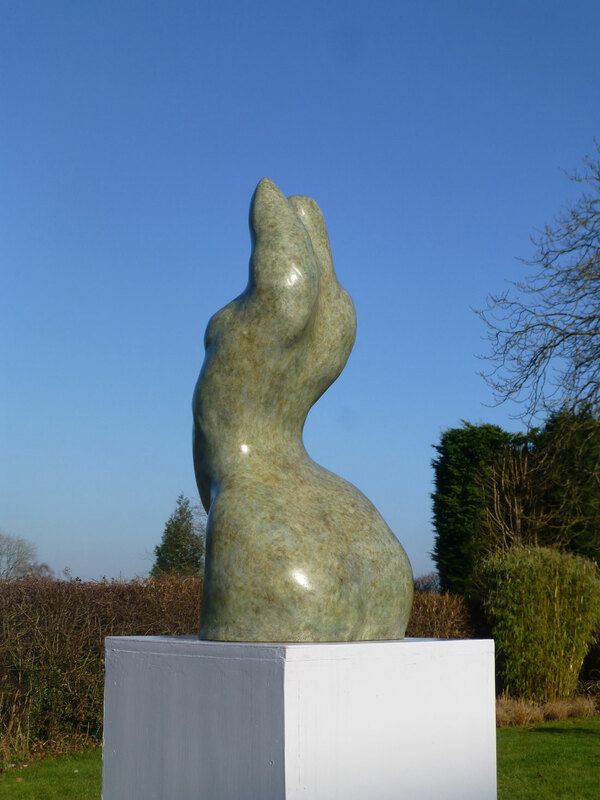 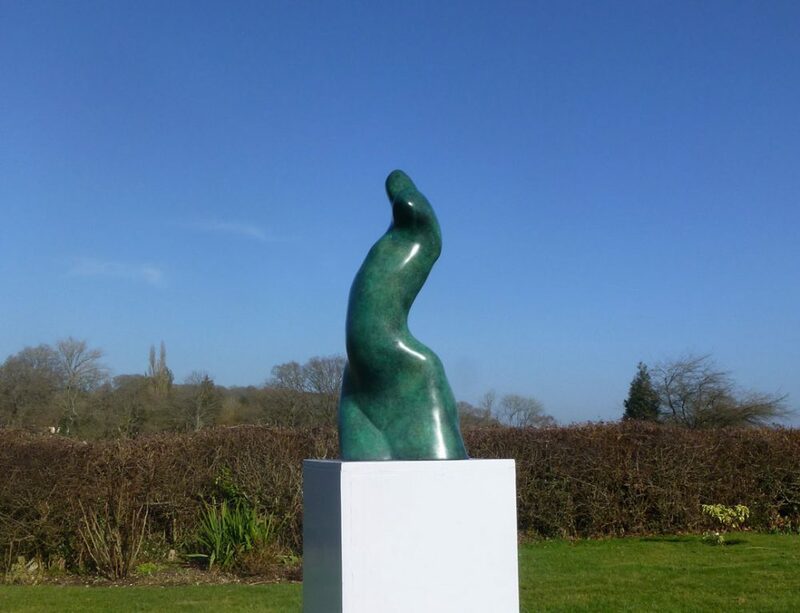 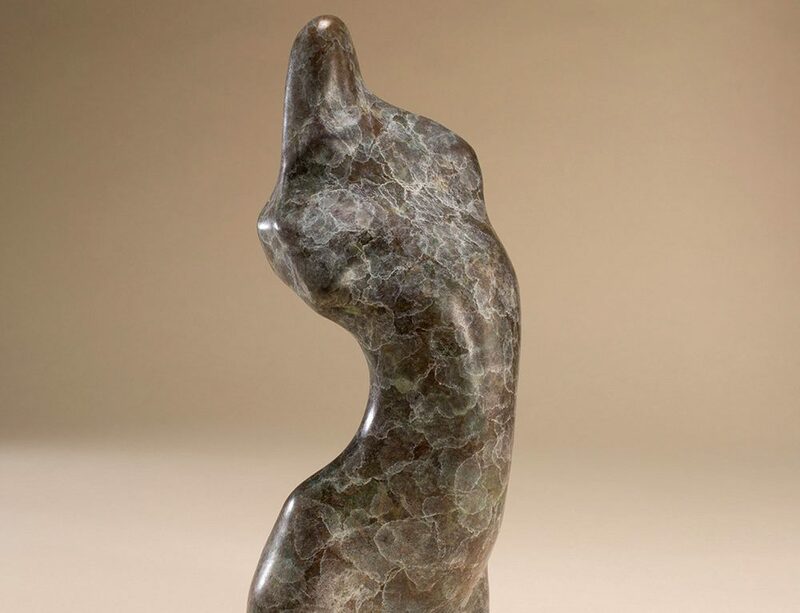 It is on exhibition now and available for sale as a garden or exterior bronze.